Do you want to shuffle photos in your image slider? Displaying your slider images in random order can liven up your site and capture the interest of repeat visitors. 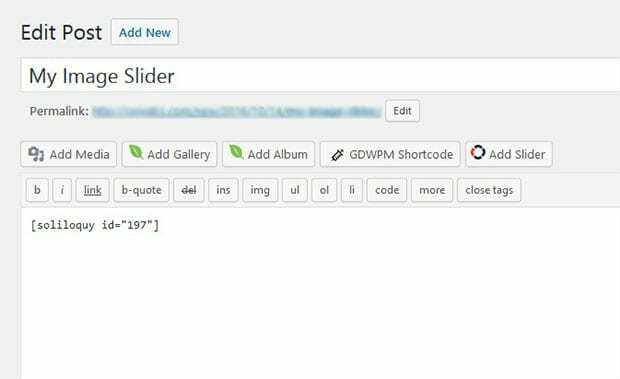 In this tutorial, we will share how to randomize your image slider in WordPress. By default, you can’t add an image slider in WordPress. You need to use a slider plugin like Soliloquy to create a WordPress slider with random photos. 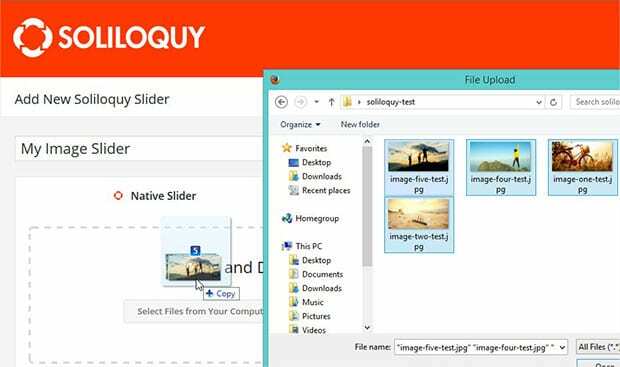 The first thing that you need to do is to install and activate Soliloquy WordPress image slider plugin on your site. If you want to learn more about installation, then check out this guide on how to install Soliloquy. Upon activating the plugin, you need to go to Soliloquy » Add New to add a new image slider in WordPress. Let’s start by adding a title to this new slider and drop photos in the Native Slider section. To learn more, you should check out this guide on how to create an image slider in WordPress. When you have uploaded the photos, simply select the sorting option from the dropdown on the Slider tab. 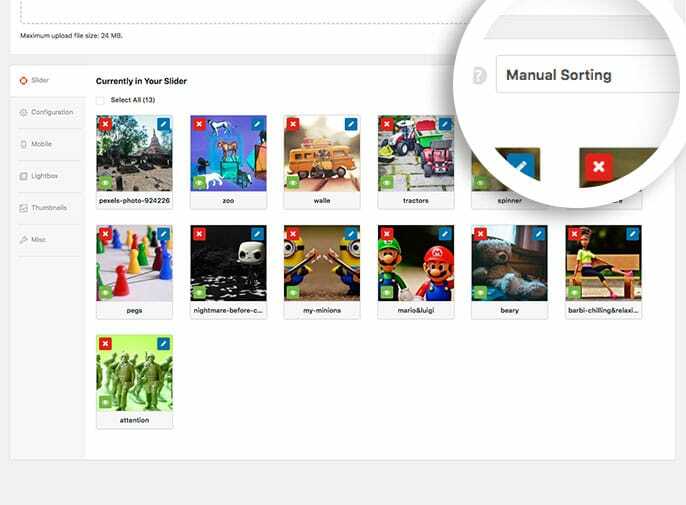 Select Random from the dropdown to have your slider sorting randomize the images that appear each time the page loads. 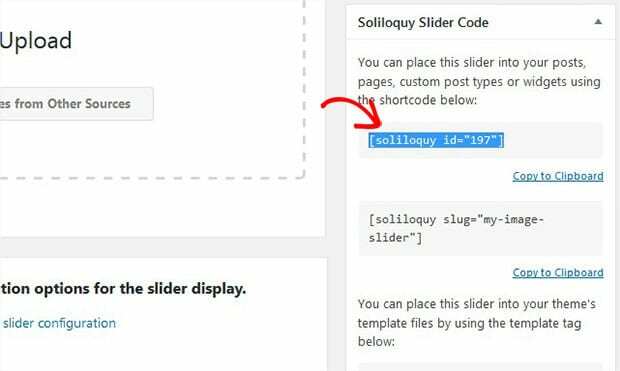 To display the slider in WordPress, you need to hit the Publish button and copy the shortcode from the Soliloquy Slider Code widget. Now go to Pages/Posts » Add New or edit an existing page/post where you want to display the randomize image slider and paste the shortcode in the visual editor. That’s all. You can visit your site to see the randomize image slides in your WordPress image slider. We hope this tutorial has helped you to learn how to randomize your image slider in WordPress. You may also want to check out this guide on how to create an Instagram photo slider in WordPress and read about the 40 exit popup hacks that will grow your subscribers and revenue. Is this outdated by chance or is the random feature only available for upgraded users? I have the free version installed and do not have a “random” selection to enable in the config section. Thanks in advance, LOVE the plugin! Your correct, you would need to upgrade for that feature. By upgrading you’d also get a bunch of other helpful features too! Let us know if you have any questions. Do ALL the paid versions randomize? I’m using ONE slider on ONE website, and that’s all I need. Does the most basic ($19) version have the randomize?